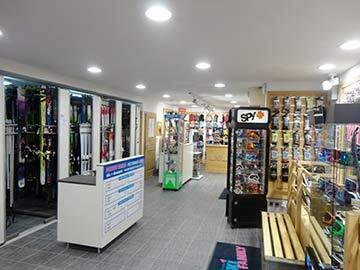 Pickup your equipment the day before the first rental from 4:00pm. 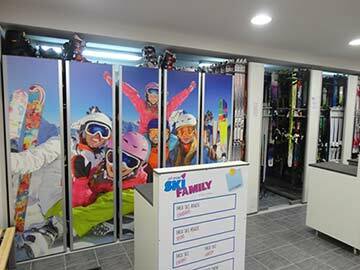 We are specialized in ski rental, wide choice of equipment among the biggest brands: Elan, Rossignol, Dynastar, Head, Nordica. 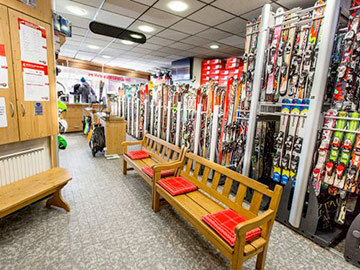 From beginner to advanced skier, you will necessarily find the ski that suits you. Choose the closest store to your residence. 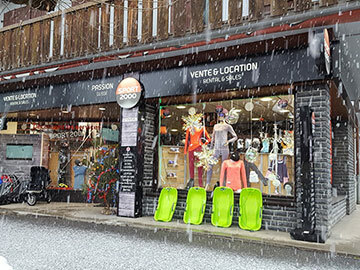 Easy access, parking nearby, open 7 days a week from 8:30am to 7:00pm... Our 2 points of sale have everything to satisfy you! 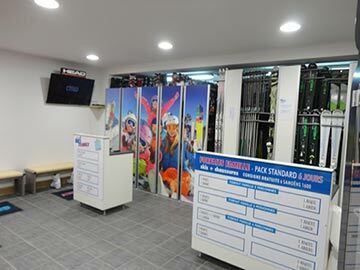 The store is equipped with a workshop in order to guarantee the perfect condition of our ski, and to be able to offer a fast and quality service for the maintenance of your equipment. 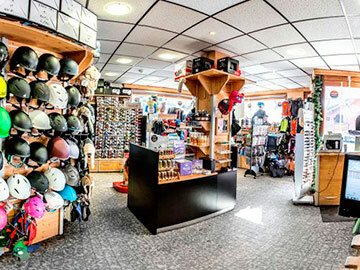 The store is equipped with hairdryers which dry and deodorize rented shoes and helmets.